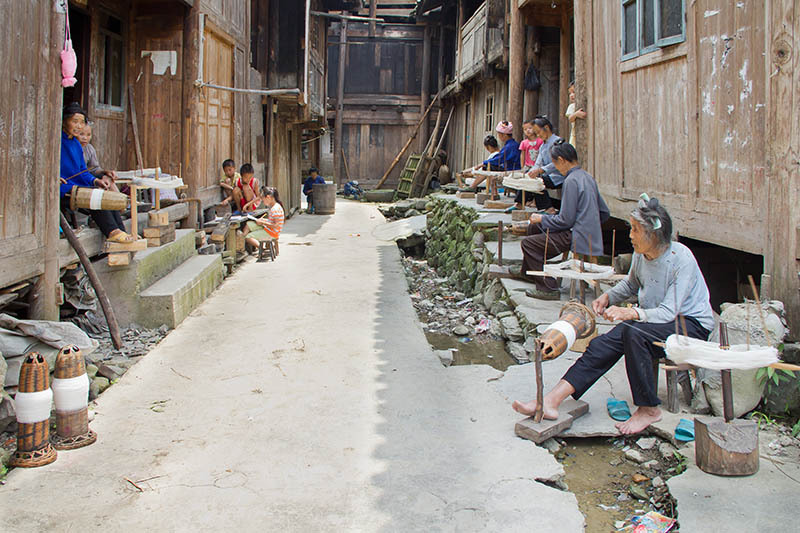 Singing Hands Cooperative and Student Agency have been founded in 2015 by Dimen artisans with the support of Dimen Dong Cultural Eco Museum and Professor Marie Anna Lee, University of the Pacific in USA. 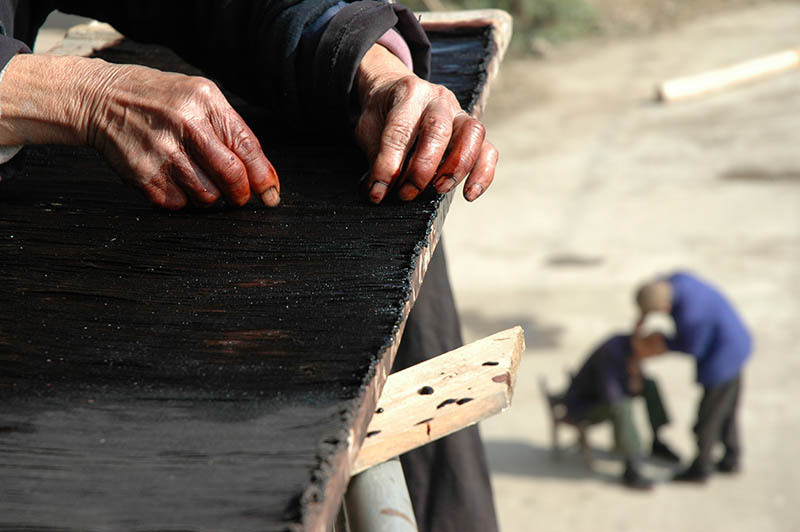 So far, we have ten artisans spanning three generations working for us. 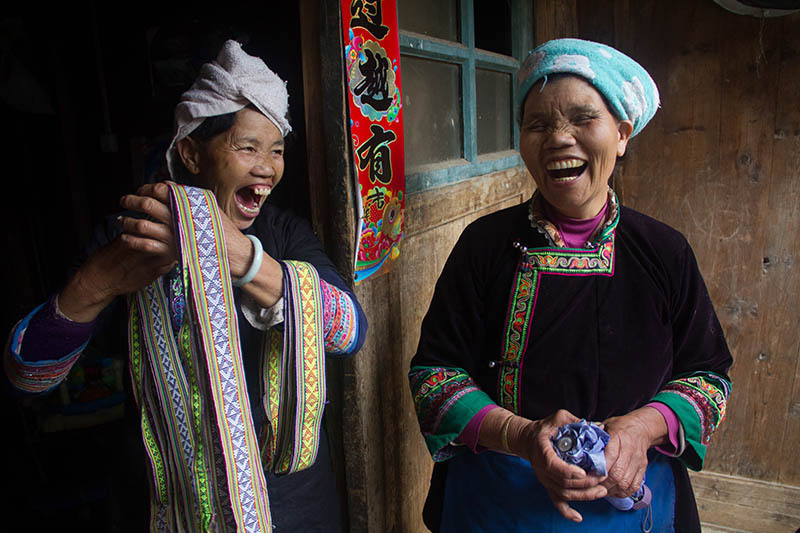 It is a custom to sing while working for our artisans. 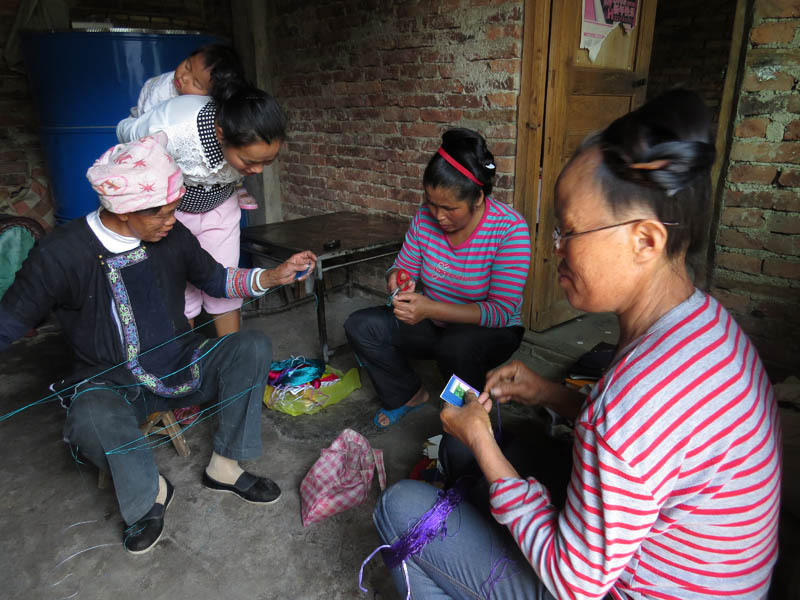 They get together with their friends and tease each other through playful songs made up on the spot while their hands are busy spinning, weaving or embroidering. We therefore thought it only fitting to call ourselves Singing Hands. We have done a test production and marketing round with several hundred items produced in the winter of 2014 and we are ready to lounch this summer! 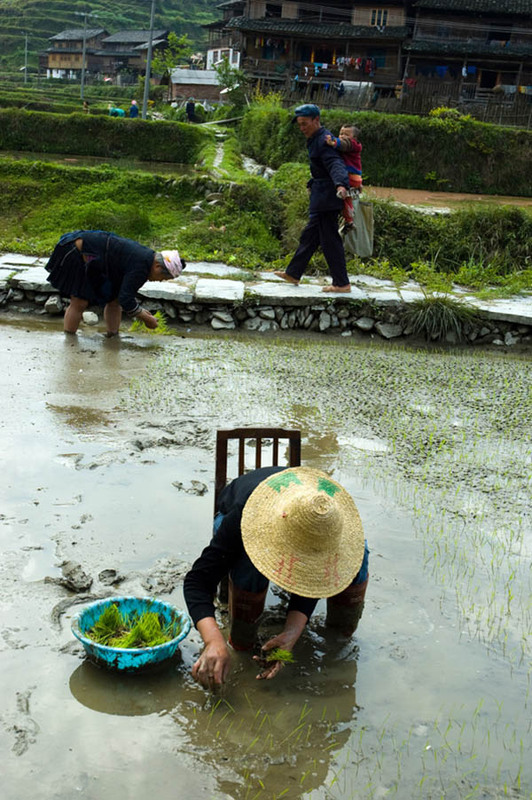 Dimen, meaning spring in Kam language, rests deep in the mountains of Guizhou Province in south-central China. 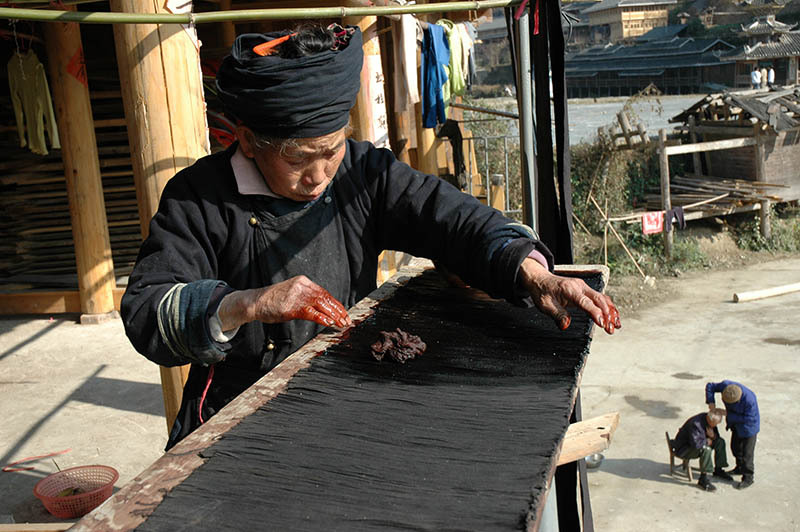 It belongs to Kam minority, one of the 56 ethnic groups in China. Chinese call them Dong. 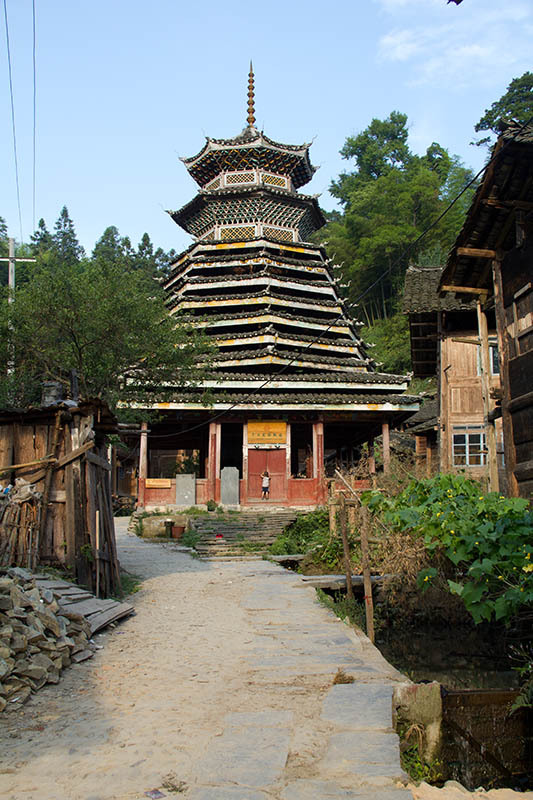 Dimen is about three hundred years old. 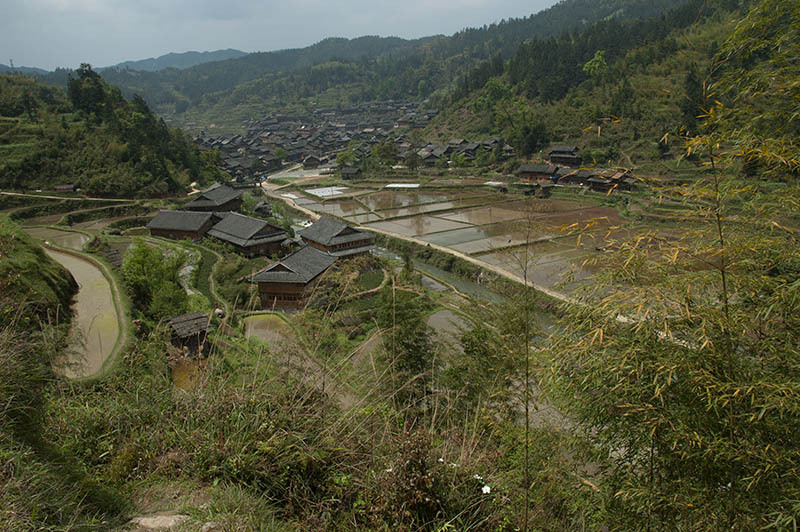 The village has about 520 households and less than 2200 people. 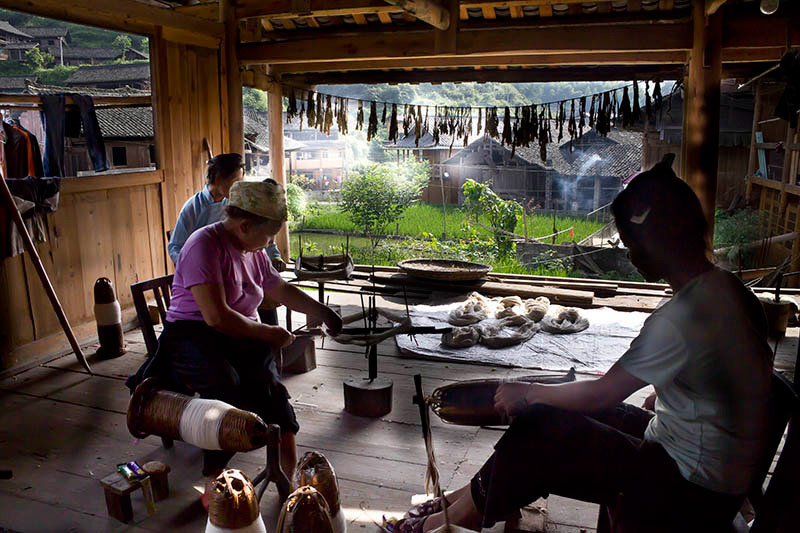 Tradition says it was once home to 1300 households and it gave rise to surrounding villages. Dimen has been virtually isolated for centuries from the rest of the world and the Dimen Kam successfully resisted outside influences. Recently, the outside world has come to Dimen full force and visible changes are happening every year. 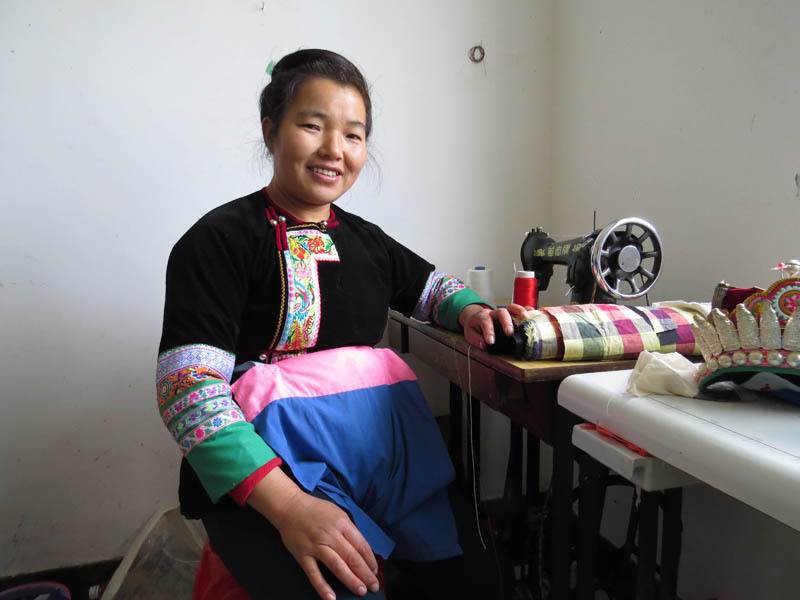 Many people, especially the younger generation, have left for work in distant factories to provide for their families leaving fewer working-age people in the village. Grandparents often take care of grandchildren while parents are away. 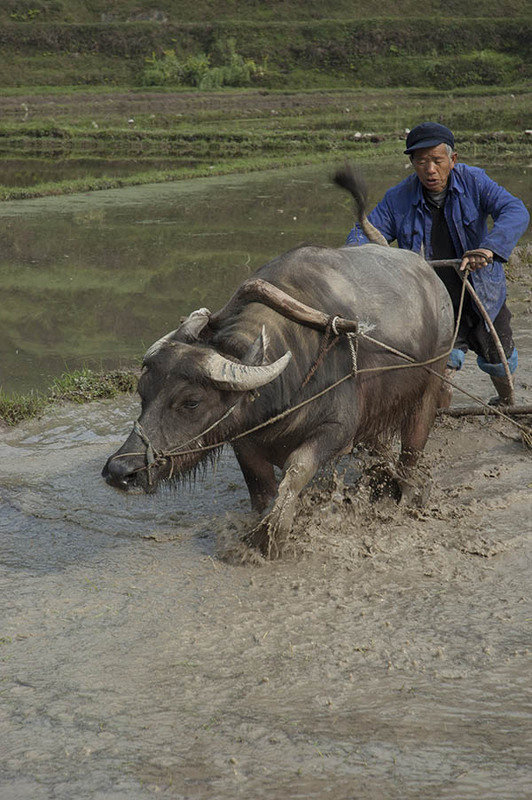 The main occupation is farming and it is carried out much like in the past with little help of technology. 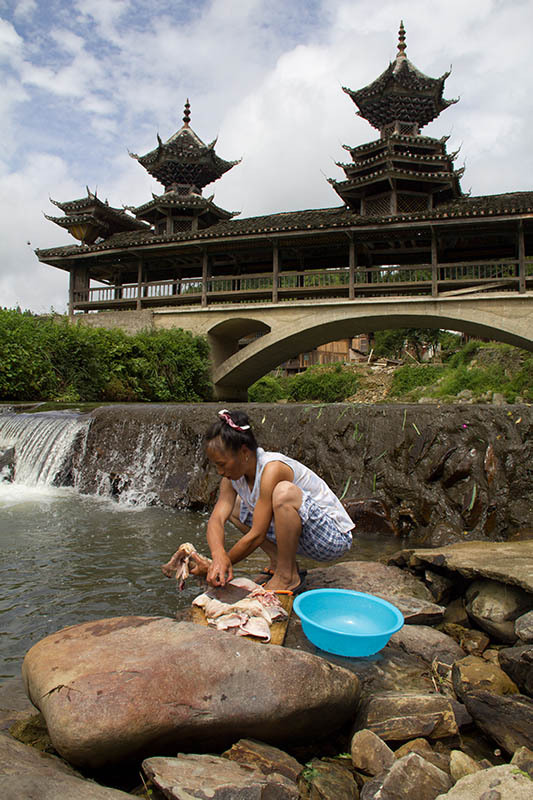 The villagers grow rice, potatoes and vegetables, and raise animals such as chicken and pigs. 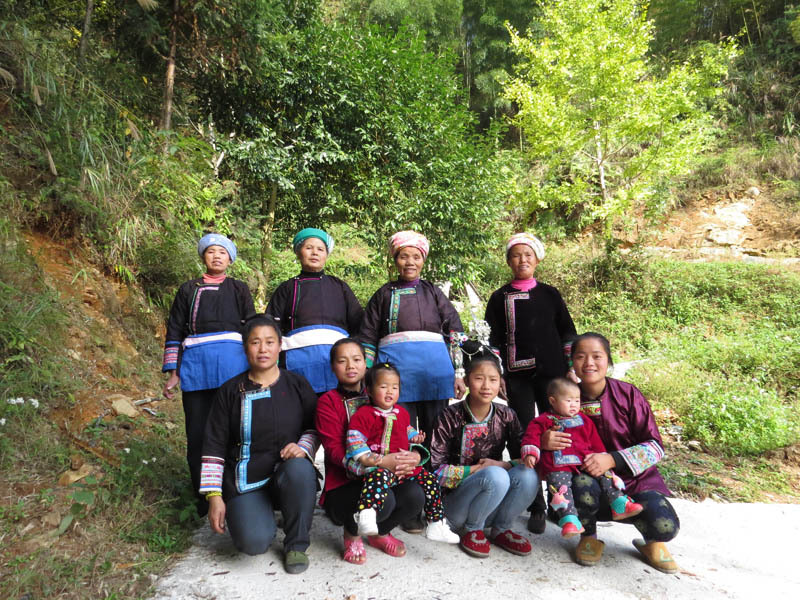 Kam have a distinct culture and speak their own language, which is quite different from Chinese. They do not have any non-academic writing system. 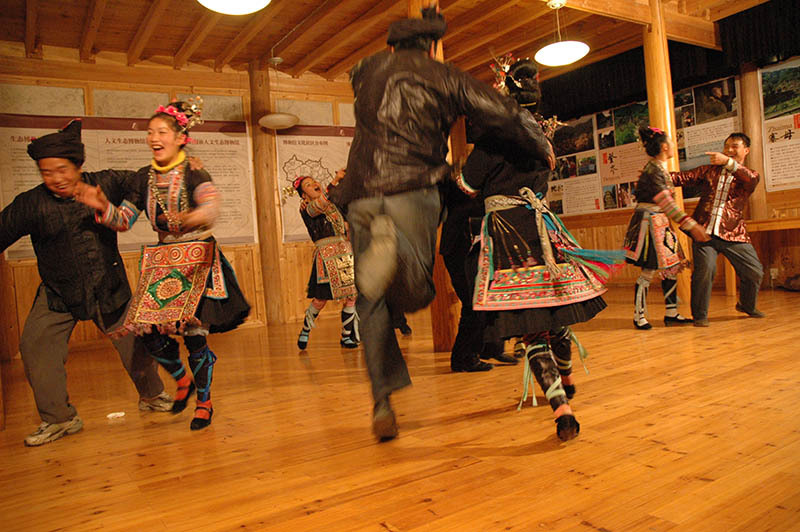 Their traditions and culture have been preserved through songs that are passed down from generation to generation. 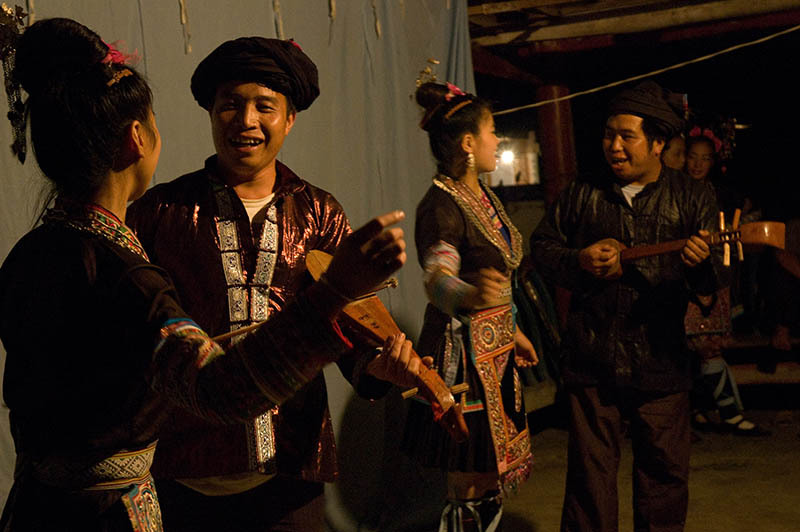 They are so famed for their singing that Unesco designated the Kam (Dong) Grand song as an intangible cultural heritage in 2009. Kam are also known for their carpentry skills and unique architecture. 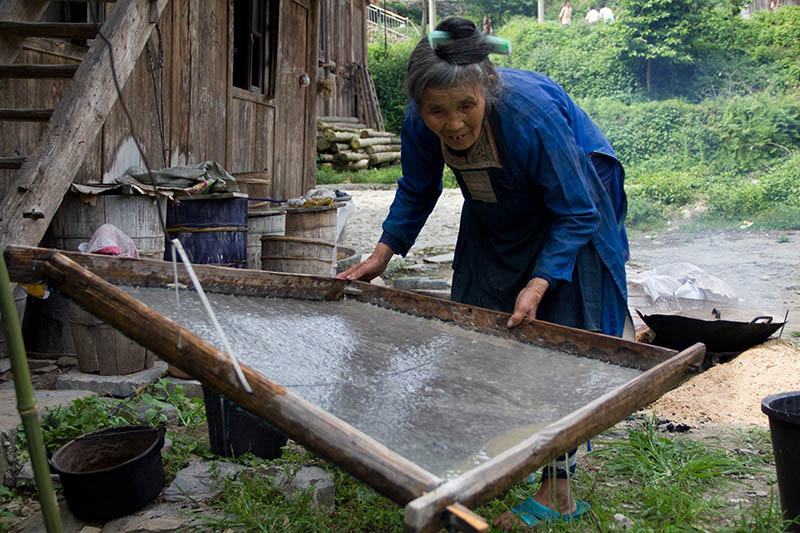 They have distinct crafts as well: weaving, dyeing cloth in indigo, embroidery, and papermaking. 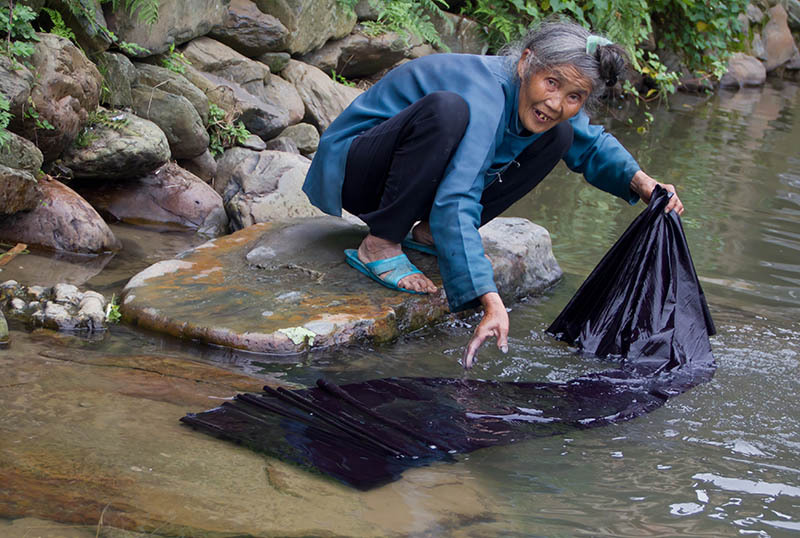 Many of these traditional methods and distinct Dimen designs are known only to a few elderly women. Unfortunately, these women did not pass down the skills the younger generations due to lack of interest. There is a real danger that parts of their history, cultural heritage and knowledge be lost in not so distant future. 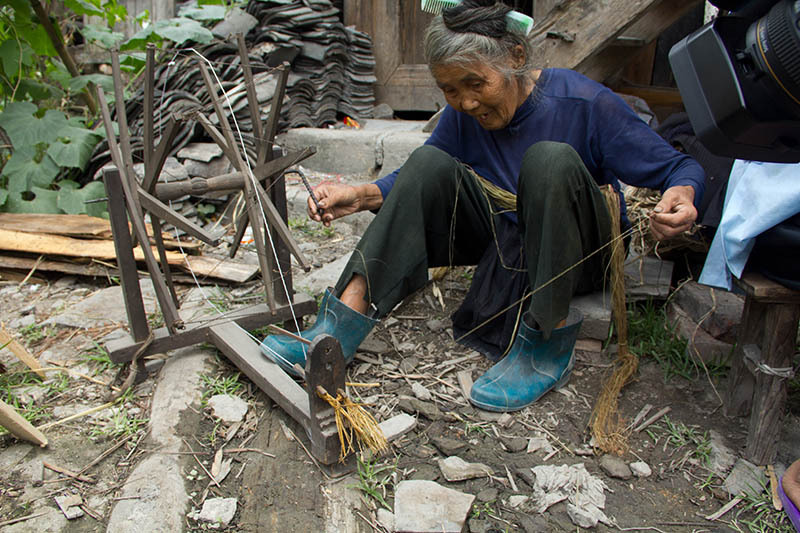 The za, or elderly women, have worked since early morning till late at night every day for their whole lives. They’re lean but can carry loads heavier than they are and do not tire easily. 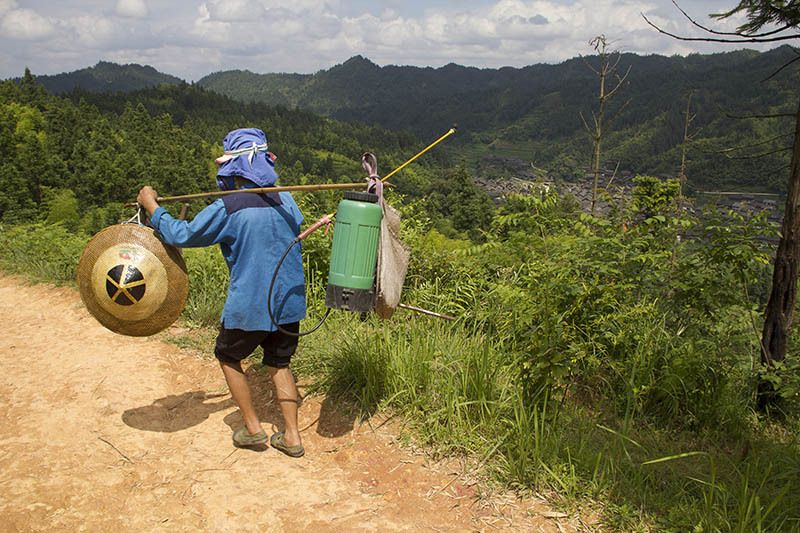 They can walk for hours through steep mountain paths in slippery plastic shoes, break their backs weeding rice or hoeing vegetables, and then haul firewood or vegetables for dinner back to the village in the evening. They can stay up late up working on whatever craft task is in season. Despite many hardships, the za smile often and know how to have a good time. Merriment rather than worries have probably formed the wrinkles that line their faces. The women have a song for every occasion and if they don’t have one, they make it up. There’s hardly an undertaking that’s beyond their resourcefulness. They just need a sickle, a few tools, and access to the natural surroundings they grew up with, and they can make anything they need. They are pillars of their families, tirelessly taking care of generation after generation. They make sure their descendants are better off than they are, sending them to schools and faraway places with a better quality of life. At the same time, they’re always there when needed, ready to go at a moment’s notice. Their lives aren’t always easy. One family owned all the land in Dimen when they were little. They witnessed the turmoil preceding the founding of the People’s Republic of China in 1949. Their families received fields of their own during the land reform of 1953-54. 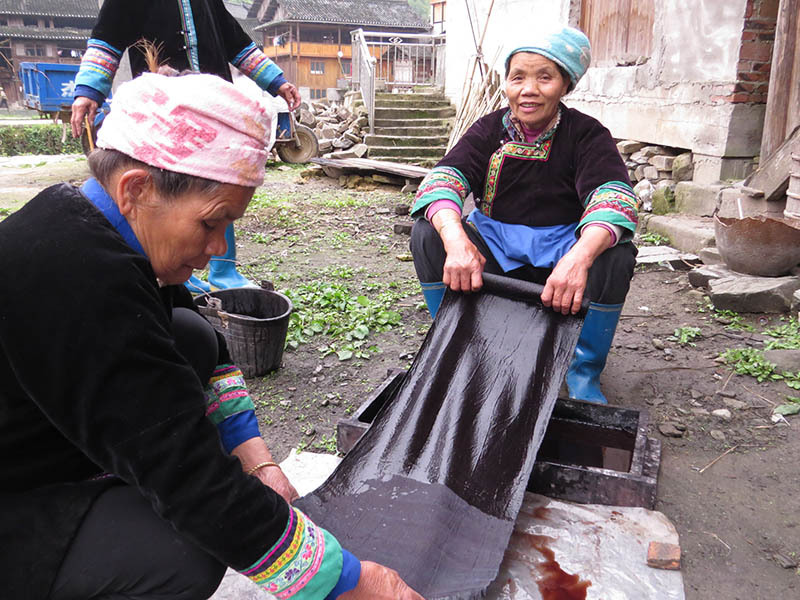 The women handed in their pots and pans and burned timber to make steel in the Great Leap Forward of 1958 to 1960. 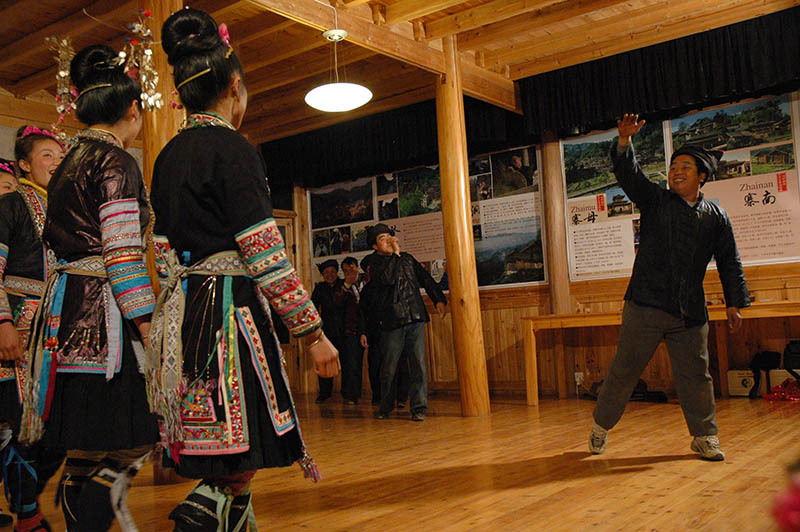 They were not allowed to sing and perform Kam drama during the Cultural Revolution from 1966 to 1976, and many of their children did not finish school. Many of their family members migrated into cities in the 1980s and 1990s. Now they stand on the brink of the digital age. Open sewage, running water, cell phones, satellite television, and finally refrigerators and DVD players soon followed improved transportation and electricity. Throughout it all, they have remained steadfast in their ways, carrying their culture and customs through the change happening all around them.